Welcome to the first of a (hopefully) regular series introducing you to the most bumbling, incompetent fools to ever set foot on a Blood Bowl pitch. I'm talking, of course, about the happy little accidents of Less Useful Mutants in BigO division 5A and their quest to convince you that mutations are actually pretty bad and you should stop wishing for them on your players. 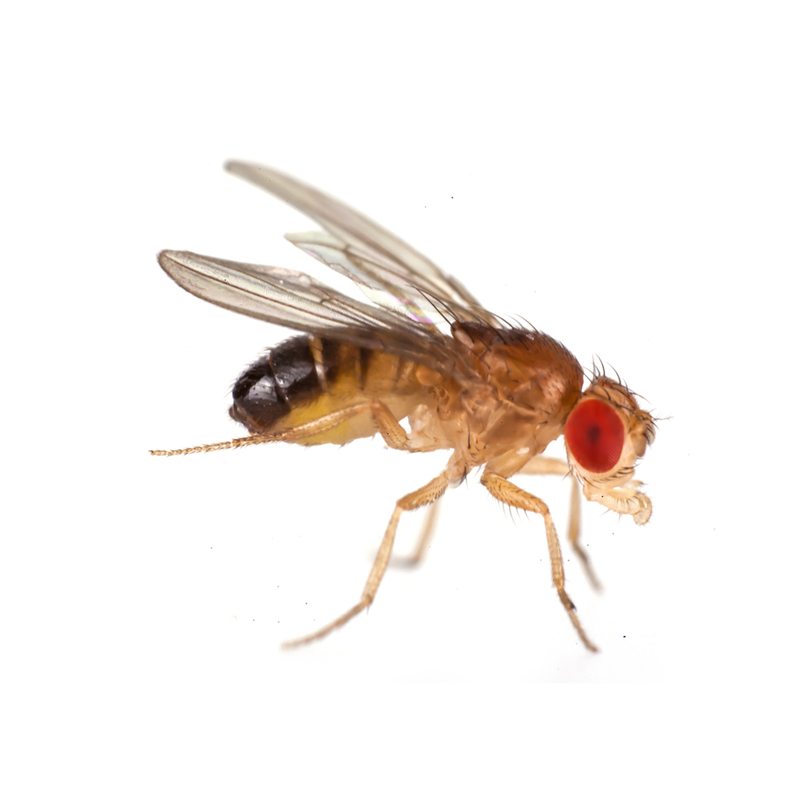 For some brief background (and pay attention, because I will not be repeating myself in future weeks) all players on the team are named for genes of the fruit fly Drosophila melanogaster. In the early days of genetics research, genes were only identified when something went wrong with them (ie. they were mutated) and were named after the effects of the mutation. So for example, the gene white was named because mutations to it cause flies to have white eyes instead of red. The Drosophila research community is full of... interesting... people however, so the players on the team are drawn from genes on the weirder end of the naming spectrum. So without further ado, let me introduce you to stoned, who certainly managed to make an impression in his match against Starkeweather's Heavy Metal Massacre. stoned is a gene found in the fruit fly brain that helps control communication between nerves. When disrupted, stoned mutants have nerves that fire randomly without their usual tight control. This leads to flies that just sit 'spaced out' at the bottom of their vials rather than the frequent activity of non-mutants. These mutants are not paralysed however, as when startled they will leap in an uncoordinated fashion which usually leaves them fallen over on their back. The researchers decided that this behaviour made the mutants seem like they were high on something, hence the name stoned. stoned certainly appeared to take inspiration from the name, spending a lot of time lying on the pitch seeing stars. After a few early removals for the Necro team it fell to stoned as the sole player on the team with Mighty Blow to try and even up the numbers. What followed was a masterclass in why proper neurological functioning is essential in sport. From his nine blocks in the match, stoned managed to roll three skull/both down combinations, leaving him catatonic on his back in the grass (For those of you with a mathsy inclination, you might notice that 1/3 is slightly higher than the expected rate of 1/9 for such an occurrance). While these situations were causing confusion and consternation with the coach on the sidelines, stoned again pulled through just fine (well, no worse than usual). These injuries gained him the four SPP needed to level up in time for the next game. So, what do you give a Mighty Blow beastman with a propensity for knocking himself over on his arse? I'm sure you all agree that there's only one real choice. As for the rest of the match, it was a scrappy and largely forgettable affair as most games between rookie teams are. Each team got pressured hard on offence leading to the sack and eventual score for the defence. A speculative fireball managed to knock the team's dodge beastman out of this match and the next. Check back in next week to see if this causes any problems as the mutants head up against the Bretonnians of Rocky Road to Redemption. Final result: Less Useful Mutants 1 - 1 Heavy Metal Massacre.